A careful analysis of the harvesting calendar regarding the selected ComCashew countries has shown a potential for an almost year round cashew supply: with the exception of August and September, raw cashew nuts (RCN) are available anytime of the year in at least one of the selected ComCashew countries. It is the long-term vision of the project that strategic purchasing between African countries would make it possible for all stakeholders of the cashew value chain to equally benefit from development. Strategic purchasing reduces working capital and optimizes capacity utilization for RCN processing. Processors could buy small quantities for processing for four to five months annually and import the rest from other African countries in the counter season. Farmers could thus have income in the so-called "hungry season", when food crops cannot be harvested. The cashew sector has enormous social, ecological and economic potential for Benin. Since its introduction in the 1990s, cashew has become the second largest agricultural export product after cotton in Benin. Between 1997 and 2001, Benin experienced an annual growth rate of cashew exports by 33% in value and 40% in volume. Currently, cashew is grown in six of the twelve districts of the country (Zou-Collines Donga Atacora, Borgou, Alibori, Ouémé-Plateau and Mono-Couffo) and engages over 200,000 farmers. The area under cultivation has increased from about 200,000 to 400,000 hectares, with more than 60% being ten year old plantations. Today, cashew nuts from Benin are considered among the highest quality in West Africa, contributing to 8% of national export earnings and 25% of agricultural export earnings. The Beninese government in 2015 has developed a strategic plan to revive the agricultural sector. As part of this strategic plan, the government wants to create favourable conditions to increase production to 120,000 metric tonnes (MT) to increase the capacity of processing units and to contribute to building the capacity of stakeholders in the cashew value chain. These would help increase the competitiveness of the products on the local and international market. The Government of Burkina Faso in 1997 started a project with the aim of planting one million cashew trees to promote the agricultural sector. This resulted in a production increase since 2000. Currently, the area under cultivation is about 330,000 hectares with total production volumes standing at about 100,000 MT. Most of the cashew farmers are not yet represented at the national level but belong to village associations, groups, unions or cooperatives with different degrees of activities. 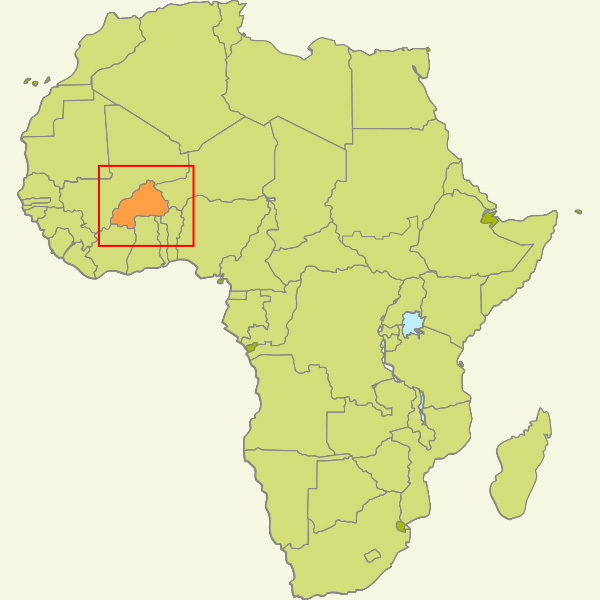 About 45,000 households in Burkina Faso are involved in the cultivation of cashew nuts. 97% are located in the Cascades, Sud-Ouest, Hauts-Bassins and Centre-Ouest regions. Agrofood businesses in the past years, have established large cashew plantations (of up to 300 hectares) with most of them being in the Ziro and Sissili provinces. The raw cashew nuts are mostly exported to India and Vietnam. For Côte d’Ivoire the cashew sector offers enormous social, ecological and economic potential. Raw Cashew Nut (RCN) production increases by around 10% per year. With an annual production volume of more than 750,000 metric tons (MT) in 2018, Côte d’Ivoire is by far the largest African cashew producer and the largest worldwide. Cashew in Côte d’Ivoire is grown by around 330,000 farmers, grouped into 20 cooperatives. The sector feeds an estimated 1.5 million people, directly and indirectly. Cashews are mainly cultivated in the Savannah region, found in the northern part of the country and covers the northern half from the border with Guinea to the border with Ghana. Cashew, in Côte d’Ivoire, was introduced to control soil erosion and for reforestation of savannah woodlands. Today, around 90% of the Ivorian cashew production is exported as Raw Cashew Nuts (RCN) providing the country with considerable export revenue. In that way cashew is not only an essential source of income for farmers, but also constitutes an essential source of tax revenues for the Ivorian state, who is taxing cashew export and re-investing these resources in the cashew sector. Despite the remarkable growth in cashew production and export earnings, the enormous potential for local value addition through RCN processing remains mostly untapped. However, the Ivorian processing industry is growing with a lot of factories under construction. Agriculture is the predominant sector in Ghana’s economy. It contributes to 22% of Gross Domestic Product (GDP) and employs about 45% of the labour force. The cashew sub-sector has gained momentum as recognition from the State is gradually increasing. Cashew is a major source of income for thousands of small-holder farmers and supports farmers’ livelihoods especially during the lean season. Although cashew grows in seven out of the ten regions of Ghana, it is mostly found in the Brong Ahafo and the Northern Regions. Currently productivity rate stands at about 600-700 kg per hectare. One factor which may be contributing to the high yields in Ghana is the source and quality of planting materials. Farmers have reported using planting materials from government and research institutions which are mostly improved varieties. There are a number of processing plants mainly based in the Brong Ahafo Region. However, these factories are often confronted with challenges in acquiring constant supply of raw cashew nuts. Ghana therefore has to intensify efforts to boost production and to support the activities of processing plants to increase their competiveness in the international market. In Mozambique, the agricultural sector is an important sector of the economy. It employs about 84% of the workforce and contributes to 28% of gross domestic product (GDP), 3% of which is generated by the cashew sector. About 42% of farmers in Mozambique have cashew plants, although one farmer has only ten to twenty trees on average. The largest cashew producing area is the Nampula province, which is also the ​​intervention area of ComCashew. However, the majority of cashew trees are over 30 years old. The national harvest therefore depends on the effectiveness of spraying campaigns. With the support of ComCashew, 3,000 farmers were Fair Trade certified in 2010. Cashew is an emerging cash crop with the potential to make a significant economic impact in Sierra Leone, both at household level and as an export commodity, given its expanding market and constantly increasing value and demand. With a low requirement of inputs, cashew is an ideal crop for smallholders and also a good tree crop for soil conservation and climate change mitigation. Sierra Leone has a high potential for cashew crop comparable to Guinea Bissau. Cashew is considered as one of the upcoming tree crops in Sierra Leone and the government has declared cashew nut as economic cash crop in the country to diversify the export base of the economy. This is why the government of Sierra Leone, through the Ministry of Agriculture and Forestry (MAF), has started to collaborate with ComCashew in 2017. The first activities are in relation to the identification of elite mother trees and establishment of polyclonal gardens. Existing plantations are spread among nine districts: Kambia, Bombali, Port Loko, Koinadugu, Tonkolili, Bo, Kenema, Pujehun, and Kono. More than 50% of the crop is grown in the northern regions followed by the eastern regions.